Our Parish is situated in St Albans, Melbourne, and is dedicated to three Saints; celebrating the Feast Days of Saint Paraskevi on July 26, Saint Barbara on December 4, and Saint John the Merciful on November 12. Parish Priest Fr Demosthenes Nicolaou, together with the Parish community, minister to the faithful through regular Liturgical Services, Sacraments, Prayers and events. 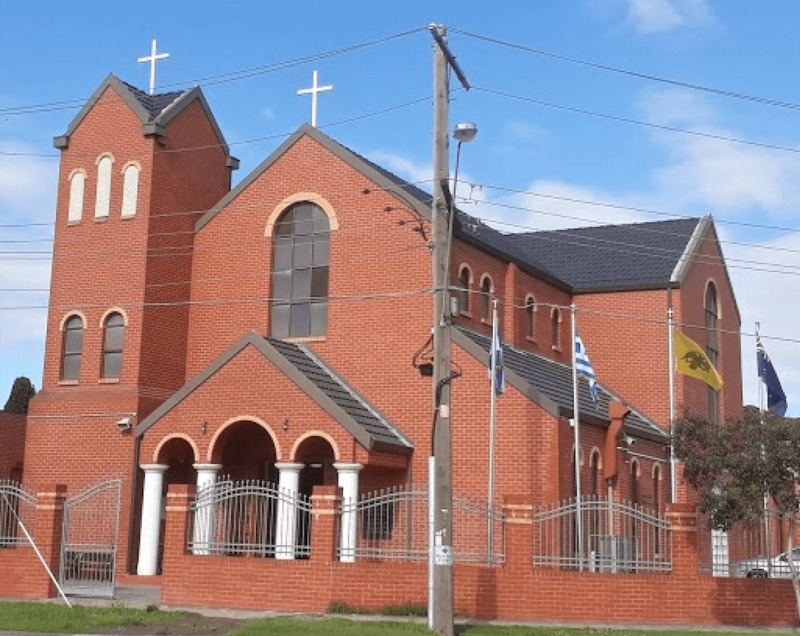 Saint Paraskevi Church is under the Spiritual and Ecclesiastical leadership of His Eminence Archbishop Stylianos of the Greek Orthodox Archdiocese of Australia, within the jurisdiction of the Ecumenical Patriarchate of Constantinople. Download this month’s Church Programme. Sign up to our Parish's mailing list to receive an email at the beginning of each month containing the Church programme of services for that month, a link to the Sunday Sermons of the previous weeks, and Upcoming Events and News in the Parish.